Lactobacillus gasseri is probably one of the most beneficial probiotics discovered. It is also one of the safest probiotics, as the vast majority of the probiotics from the Lactobacillus genus. 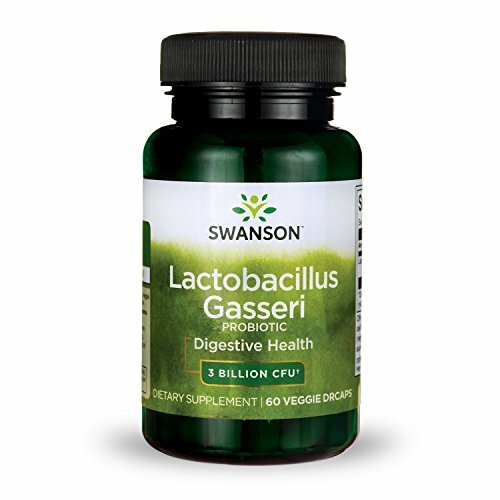 Lactobacillus gasseri is very effective, and it can be used as a single strain in probiotic supplements, and it is also found in many probiotic blends. L. gasseri is a normal inhabitant of the human intestinal tract, and it is also part of the vaginal microflora. This amazing bacterium is also found in our mouth. Recent research on this amazing bacterium brought to the attention of the probiotic industry, and many manufacturers already included it in their probiotic formulations. Probiotics use in medicine is an incredible revolution in the medicine world. From the antimicrobial approach that was used not too long ago, to the concept that microbes are our friends, and we can use them to cure illnesses the medical world has gone a long way. The microbe revolution in medicine is one of the most important ones. We realized in the latest years that so many illnesses and mysterious conditions are linked to an imbalanced microbiome. More studies show how important is the symbiosis between humans and microbes. Even some pathogens have their importance in the big picture, and help us stay healthy. Looking back at the history, we know now how important is to take a holistic approach in medicine. Allopathic medicine evolves and embraces now many alternative methods. The health benefits of L. gasseri are similar to other species in the Lactobacillus genus. The most interesting, however, is the ability to help us lose weight. Lactobacillus bacteria populations can affect your body weight and metabolism. Some strains can make you gain weight, some others can make you lose weight. This comparative analysis done by a group of French researchers reveals that increased populations of Lactobacillus acidophilus, Lactobacillus fermentum and Lactobacillus ingluviei strains will result in weight gain, whereas Lactobacillus plantarum and Lactobacillus gasseri populations could help with weight loss. L. Gasseri is one of the fewest strains that can help with weight loss. There are a few strains of gasseri that were scientifically studied for weight loss. This study on rats proves the efficacy of the LG2055 as an anti-obesity probiotic. A Korean study on humans, showed that Lactobacillus gasseri BNR17 can be used to reduce weight in overweight and obese adults. Another study conducted by a group of Japanese scientists showed that fermented milk containing the SBT2055 strain of L. gasseri is effective to burn abdominal fat, and reduce overall weight. H. pylori infection is one of the major causes for many gastroduodenal diseases, including gastric ulcer, duodenal ulcer, and acid reflux. Antibiotic treatment has many side effects, as the antibiotic destroys the entire intestinal microflora in the process. The Journal of Clinical Microbiology published this article where a team of Japanese scientists show the effectiveness of the Lactobacillus gasseri strain OLL2716 to reduce populations of H. pylori. Like most of the probiotic microorganisms, Lactobacillus gasseri can stimulate immune response, boosting our body’s capacity to defend against pathogens. This study researched two strains of the species. The study demonstrated that the two strains, L. gasseri OLL2809 and L. gasseri L13-Ia are highly effective in modulating in vitro dendritic cells and enterocytes. In another study it was showed that the strain TMC0356 can modify the immune response even if the microorganisms are dead. There are many probiotics that help women stay healthy. The OLL2809 strain of L. gasseri works great for alleviating menstrual pain and dysmenorrhea in patients suffering from endometriosis. L. gasseri was administered to mice, in a study to determine its effectiveness in reducing inflammation of the intestine of IBD affected subjects. The study found evidence to show the probiotic as a promising treatment for IBD. Although it is speculated that some gasseri strains should also reduce inflammation of the joints, there is no research to support this. Another benefit related to the inflammation is the reduction of allergic rhinitis symptoms. In a study on guinea pigs, L. gasseri TMC0356 showed the ability to alleviate nasal blockage. Various strains of Lactobacillus gasseri were studied for their ability to lower cholesterol. Although the cultures were effective in various degrees, they still did lower cholesterol. In another study, L. gasseri SBT0270 was shown to have a hypocholesterolemic effect. Check this article for more general considerations on safety of probiotics. Kadooka Y, Sato M, Imaizumi K, et al. Regulation of abdominal adiposity by probiotics (Lactobacillus gasseri SBT2055) in adults with obese tendencies in a randomized controlled trial. Ooi LG, Ahmad R, Yuen KH, Liong MT. Lactobacillus gasseri [corrected] CHO-220 and inulin reduced plasma total cholesterol and low-density lipoprotein cholesterol via alteration of lipid transporters. Chen YS, Jan RL, Lin YL, Chen HH, Wang JY. Randomized placebo-controlled trial of lactobacillus on asthmatic children with allergic rhinitis. Itoh H, Uchida M, Sashihara T. Lactobacillus gasseri OLL2809 is effective especially on the menstrual pain and dysmenorrhea in endometriosis patients: randomized, double-blind, placebo-controlled study.